CaptureDevice is an Adobe Air Native Extension for video capturing from cameras. It supports Windows (Direct Show) and Mac (QTkit), is able to handle multiple cameras and updates only on new frame. 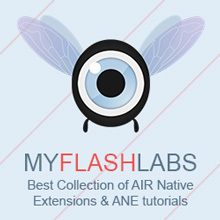 Air Native Extension, Mac, Windows LGPL. URL.